Dan Weltin, Editor-in-Chief for Contracting Profits and Cleanlink talks with Dave about the Clean Building Expo held in Baltimore this March for the first time. Both guys heard a number of attendees saying that it was great to have a show for them. That is, CBE is designed for the users, not distributors like the annual ISSA show. Dan also brings up that the Mid Atlantic states normally do not travel to the ISSA show, so they really were there in force. Chris Croy talks with Dave in this week’s Podcast. Listen to the newest Podcast from the guys at GEM and ACE. If you believe this, click on the picture for the rest of the story. D&B Podcast #1 is on the AIR! A podcast an episodic series of digital audio files which a user can download in order to listen to. 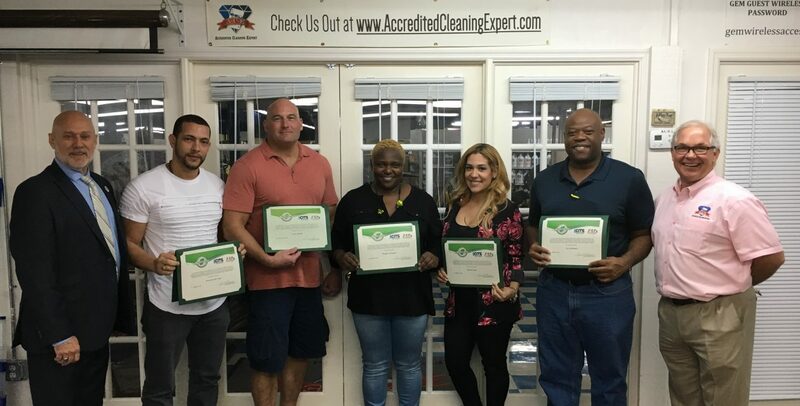 Here is the first episode of the D&B Podcast from the Academy of Cleaning Excellence and GEM Supply Co.
Everett welcomes Janeth on the show. Highlights from Osceola Public Schools, How to be a Rock Star Custodian and the upcoming ISSA Masters Class. GEM Supply and the Academy of Cleaning Excellence presented this THIRD session, of the Rock Star Supervisory series, at the FSPMA conference this month in Orlando. Here is the podcast of the presentation from Mike Ward’s book, “Who Swings Your Mop”. GEM Supply and the Academy of Cleaning Excellence presented this SECOND session, of the Rock Star Supervisory series, at the FSPMA conference this month in Orlando. GEM Supply and the Academy of Cleaning Excellence presented this FIRST session, of the Rock Star Supervisory series, at the FSPMA conference this month in Orlando. Recently an article was published that stated, “Green Cleaning is Mainstream.” This might be true if you are only talking with a select group of followers who have changed their mindset, however, in the real world of cleaning, Green Cleaning is anything but mainstream. If Green Cleaning was mainstream, then why does customer after customer still purchase single hole mop buckets and vacuums with no filters? Chemicals which have high pH factors, fragrances and color fly off the shelves daily of JanSan distributors. Look at any online catalog and try and find Green or Healthy products for the consumer to purchase. Daily, customers purchase mop handles that are non-adjustable and use cotton mops by the case. If Green Cleaning were really mainstream, then these items would not be even manufactured as there would be no call for them. There needs to be a reality check here about what Green Cleaning really is and what it is not. Green Cleaning is not about purchasing these items, but it is the mentality of those still mandating their use.